We are a leading Manufacturer of polyurethane plastic sheets from Mumbai, India. 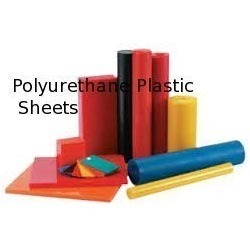 Owing to our rich industry experience and knowledge of this domain, we have become the foremost manufacturer, exporter and supplier of Polyurethane Plastic Sheets. Our plastic sheet is properly checked on numerous parameters in order to maintain their market norms. The offered plastic sheet has gained high value in the market for salient features. This plastic sheet is available in various customized designing options in order to fulfill diverse demands of our customers spanning all over the country. Looking for Polyurethane Plastic Sheets ?